What do you know about your customer’s business? Do you know how their products are made and used? Who are their customers? What are the challenges for the market they are in? Why Care About Your Customer’s Business? Great salespeople understand the business model of their customers. They know what drives their business decisions. They follow the markets their customer serves. Great salespeople keep track of their customer’s competitors. 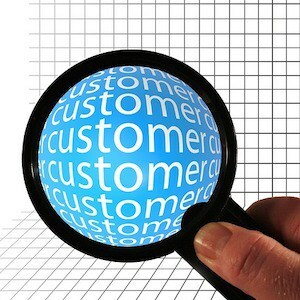 By getting to know your customer’s business you can anticipate their needs and changing needs. When you can be proactive to help your customer succeed, your relationship is more valuable to your customer. Watch, ask, join. When you pay close attention when making sales calls you can find out a lot about a customer’s business model and the markets they serve. Be inquisitive, ask open ended questions about their business. Check out Wikipedia for how your customer’s products are made. Google “how is chewing gum made” and get 65 million results. So here is the caveat: you can spend way more time than you need on line. Learn enough to be knowledgeable of your customer’s business. You don’t need to be expert. I sold custom fabricated stainless steel products to the pharmaceutical manufacturers. To learn the market, I joined a trade association for the engineers who designed the plants and the manufactures’ staff who maintained them. At trade association meetings I learned how biopharmaceuticals were made. I attended presentations on how particular problems are solved. At informal meetings with attendees I participated in conversations about how new regulations are affecting the business. Networking with customers I learned about personnel changes. Trade associations are a great way to gain knowledge of your customers business. Great salespeople understand what drives a customer’s buying decision. They know the depth and implications for solving the problem. By having better insights than their competitors, great salespeople win the order. I sold safety products for a large national distribution company. We had a small amount of business with a major railroad. The railroad hired a new purchasing manger. To make his mark, he sent a letter asking for a 5% reduction in the price of the products we sold them. The national accounts manager countered with a letter asking why only 5% and offered to meet to talk. During the meeting the railroad’s safety manager was asked what the most pressing safety issue was and how much the railroad would save when it was eliminated. It was accidents at night when the train engineer didn’t see the yard workers. We proposed specially designed clothing making the workers highly visible. Not only did the railroad save money by reducing accidents, the national distribution company increased their sales to the railroad. The 5% reduction in purchase price of safety products wasn’t as important as knowing the customers business benefited by the reduction of accidents. Let’s say you sell natural food ingredients. One of the blogs you follow is about a change in the labeling and marketing of “natural” foods. Your products will help your customers comply with the new requirements. Since you are a great salesperson you will be meeting with your customers to discuss how y natural food ingredients will benefit your customers. Trends in markets alert sales people to changes they need to make. For example, will self-driving cars need steering wheels? If you sell raw materials to make steering wheels, a great salesperson would be looking for new markets and new customers. When great salespeople understand their customer’s business, they add value to the relationship with the buyer. So being proactive and first in the door gives the salesperson an advantage over the competition. When you have a great product or service you probably sell to many companies in the same market. Great salespeople are careful about sharing competitive information among their customers. I sold custom fabricated metal architectural feature stairs to construction companies for installing in their projects. In a given geographic market we had many customers. Several of our customers would usually bid on a project. Since our product was a custom design unique to each project, I often spent time with each of the bidders to understand what they wanted. My policy was never mentioning a competitor’s interest. When asked, I deferred saying: “I won’t discuss brand X with you and I won’t discuss you with brand X.” Great salespeople always take the high road and maintain confidences. 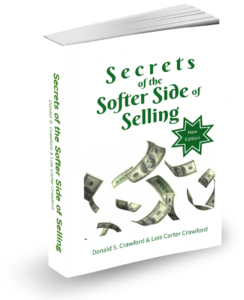 To learn more sales secrets see Chapter Seven, Understanding Buyer Behavior, in Secrets of the Softer Side of Selling. For even more sales help, join our FREE Sales Club! “See” you next week.